He felt like he’d been dogged his entire life by the inescapable weight of poverty. The gloomy thought that his family would continue to struggle, never getting ahead of their needs, filled him with intense frustration. This new message about how God’s love could unshackle him and his family from their economic burden made him lean in and listen hard. 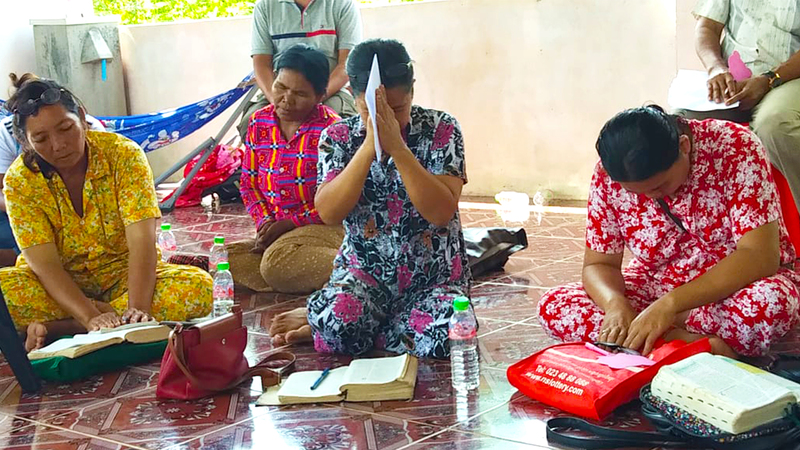 Through a local house church, the team began to hold lessons about how God was a world-maker who actually wanted his children to explore and take stewardship of the resources he had made, unlike many of the Cambodian gods. Several of those lessons were followed by practical instruction on how to care for the health of chickens, including improved techniques in coop construction, strong breed selection, and prevention of infectious diseases through sanitation and vaccinations. This God and these people at the local church seemed to genuinely care about the problems he faced every day. He went home and began implementing the animal husbandry lessons with his own flock of chickens. In less than a year, his chickens were not only surviving but they were healthy and laying more eggs. The increase of protein in their diet meant his children were healthier, and the extra bit of income from being able to sell the excess eggs was making an impact on the family’s income. The church team had been right; this God cared about Kimhourn. He was seeing how the Bible and God’s faithfulness was transforming his whole life, from his family’s health to the animals he raised. Unlike the capricious Cambodian gods, this was a God that Kimhourn could devote his life to and trust. The physical and spiritual transformation in Kimhourn’s life was no happy accident. Jesus himself demonstrated ministry that was integrated into every aspect of life. Sometimes, he led with physical healing (John 5) and sometimes he led with spiritual truth (John 9), but Jesus also brought the whole gospel to the whole person. Like many of the people who were healed by Christ and later became church leaders, Kimhourn’s transformation is a light in his community, demonstrating how a new heart leads to new life. The work continues through the World Challenge partners and new believers like Kimhourn. Thank you, from World Challenge’s teams, for standing with us in that work. Together we are bringing to fruition all that God intended in the lives of people in Cambodia and beyond.